Discover more about private investigators capability, employment and regulations in Franklin. Welcome to International Counterintelligence Services. The success of many cases depend on how you decide to respond. It has proven critical to hire a private investigator quickly. You can receive a confidential free consultation 24 hours a day with one of our on-call licensed private detectives. We can be reached at (888) 223-6494 or through our online free consultation system. ICS provides a full range of investigations services for the City of Franklin and all surrounding metropolitan areas. Submit a free online private investigation consultation form, or call our toll free number to speak to a private investigator at (888) 223-6494. 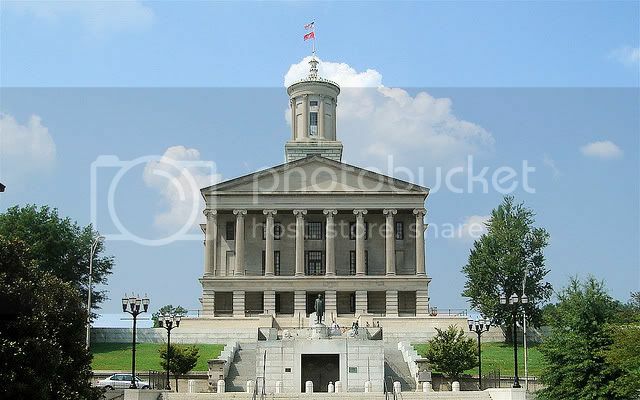 A private investigator in Franklin must apply to the Tennessee Department of Commerce and Insurance and pass licensing requirements, including a thorough background check. While many Franklin private investigators come from a law enforcement or military background, it is not a requirement for employment as a private investigator. You can rest assured that any Franklin Private Investigator assigned to your case with ICS are fully licensed and insured in accordance with Franklin laws and participates in any required continuing education. Tennessee has a population of more than 6.4 million residents, and its crime rates are accordingly higher than the national averages. Regarding index crimes, which include both violent and property crimes, 42.04 were reported last year per 1,000 residents. Broken down, there were 6.08 violent and 35.96 property crimes, compared to 3.9 and 29.1 nationally. Conversely, the city of Franklin, with its population of 64,000, has substantially lower crime rates compared to the national and state medians. Only 1.6 violent and 15.87 property crimes were reported per 1,000 residents last year, rating Franklin safer than 54% of cities in the United States. But there is still a need for private investigators. When law enforcement agencies are stretched thin, you owe it to yourself to hire a private investigator, ensuring that your case has a dedicated professional working it around the clock. In order to conduct private investigations in Franklin, all private investigators must comply with local and federal laws. Impersonate Law Enforcement - Private Investigators in Franklin cannot carry a badge, wear a uniform or say anything that might imply that the private investigator is a police officer or federal agent. Make an Arrest - Private Investigators in Franklin cannot legally make an arrest. If there is evidence that suggests an arrest should be made the investigator should contact law enforcement. Do you believe your spouse is cheating on you in Franklin? Are you located in Franklin but believe your spouse is cheating on you when they travel for work? It can be a very difficult and emotional time for anyone that suspects their loved one may be cheating on them. However, before making any irrational decisions, call ICS. International Counterintelligence Services has been helping clients find out the truth about their suspicions and have helped numerous amounts of people achieve peace of mind. You deserve to know the truth about your spouse and with ICS, we can provide you with that evidence and truth you seek. Call us today to learn more about Cheating Spouse Investigations in Franklin and find out a case action plan that will help you find out the answers your looking for. Are you looking for a missing person who you believe to be in Franklin? Are you in Franklin but are looking for a missing person you believe to be elsewhere? It can be a difficult and emotional process trying to locate a missing person, especially when you feel that there isn't anyone to turn to. Often times, the police do not have enough resources and manpower to dedicate to each missing person case which often leads missing persons cases to fall short and left unsolved. However, ICS has the ability, time, resources and manpower to dedicate towards your missing person case and help you locate the individual. Call us today and learn about Franklin Missing Persons Investigations and find out how ICS can help you locate your loved one today. Are you located in Franklin and need a background investigation? Are you located elsewhere but need a background investigation conducted on someone living in Franklin? Background Investigations are a great resource to finding out a lot of information about a particular subject. Sometimes a background investigation will cover everything you need to know about someone. In other circumstances a background investigation is a stepping stone to a much larger investigation. Regardless of your background investigation needs, ICS can help. Call us to learn more about Background Investigations in Franklin and find out how we can help you get your investigation started today.